Different ICO projects have different marketing budgets depending on the desired amount of investments, but the marketing principles should be the same. This is the opinion of the Blockchain & Bitcoin Conference Tallinn speaker, marketing director at Crowdholding, Aleks Bozhinov. We talked to him about the specifics of promoting ICO projects. – Hello, Aleks. Please tell us, what is the difference in marketing of an ICO project that raised $200 million and a project that attracted only $2 million on the token sale? – The effort required to reach a $200 million goal compared to $2 million is substantially bigger, but the approach is not that different. A larger goal does not necessarily mean the business has to conduct an extraordinary marketing campaign. In my opinion, the basics of promoting an ICO are the same no matter what is the funding goal. For example, every business that wishes to raise with an ICO should consider the competition, register the company in a crypto-friendly country, write a detailed Whitepaper, launch a beautiful landing page, communicate on several social media channels, initiate a Bounty campaign and reach out to investors. If a business does not have those covered, no amount of marketing budget can help. And the size of the marketing budget is absolutely the biggest difference between projects with smaller and larger funding goals. A business can raise $2 million with smaller community and a few whales, but you cannot close a $200 million funding round with only a few followers. Therefore, with larger success threshold, a bigger amount of money needs to be put into promoting the project in order to reach mass awareness. When a business gets to the masses, the projects is much more likely to achieve larger funding goals. – What features of the project being promoted affect marketing campaign the most? – I think the team & advisors behind the project play the most significant role. An experienced team with known advisors is the best, but if all of them are also active on social media then this would be highly beneficial for the marketing team. – Which platforms are the most effective for promoting an ICO project today? Why do you think so? 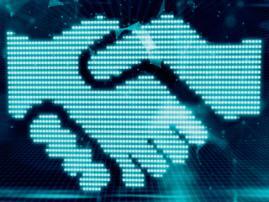 – First of all, only trust individuals that reach out to you directly through an official company email. Do not trust “company representatives” that message you on Telegram or other Social Media channels and places where they can create fake accounts. Most of the best performing marketing channels are actually free and totally depend on the company’s employees rather than an external party. Here is a summary of the resources that I recommend. Crowdholding – community & bounty campaign management platform. A place to set-up and grow your following. You can collaborate with your followers and conduct bounty campaigns in an easy manner. ICOadvert – ICO listing, promotion & discovery platform. Brings adequate traffic and is still new to the market so the pricing is right. ICOrating – ICO project evaluation agency. Having your ICO reviewed positively would bring a dozen of quality leads to your ICO. Telegram – Community chat discussion. The place to keep in touch with the community. Bitcointalk – Cryptocurrency forum discussion. The crypto community here is one of the largest and each ICO project needs to create a thread there. Medium – Blog management platform. All businesses need to actively educate and create useful content for their community and Medium is the best place to share it. Reddit Crypto – Cryptocurrency forum discussion. Also, a large crypto community has formed here. Facebook Groups – Many interest-specific groups in which targeted content can be shared. – How strongly will ICO results of the project with a marketing campaign differ from the results of one that only has a website and a whitepaper and does not plan to spend money on promotion? – The marketing plan is just one of the fundamental components of an ICO project. Other factors play a crucial role and sometimes make bigger contributions to success than advertising. Such factors can include partners and traditional investors. For example, a project that has a well-known industry leader as an advisor or a large Venture Capital firms as an early investor can potentially raise more than an ICO with large marketing budget. The core of a successful ICO is its community and not the marketing budget. – What is the most successful marketing campaign of an ICO project in your experience? – One of the most successful campaigns that I have done actually required the input of different people. One of our advisors is a data-analyst and he managed to configure the crypto portfolio of our pre-sale backers based on information in etherscan. This allowed us to understand what tokens apart from ours the backers have invested in. Having received this information, I combined it with other audience interests, which I considered relevant. These included previous browsing history and specifically people who have recently visited ICO listing websites and bitcointalk. As a result, I managed to create a highly qualified audience that I could target with different means. The consequence was that we received thousands of leads at $0.8 conversion cost. – Some financiers say that ICO project investors have become more professional – people with a lot of money are paying attention to token sales. How is ICO project marketing changing over time? – The ICO Golden Age was in full rage during the first half of 2017. In the second half, project with only a landing page and a whitepaper wasn’t able to raise millions just like before. It is clear 2017 could have been so much better, but what everyone wants to know now is how many ICOs were actually scams…The largest amount of marketing effort is spent on building trust with the community. It is more expensive than ever to achieve that with advertising. The PR and marketing agencies have quadrupled their prices in recent months. Currently, there are so many ICOs launching that it takes more time than before to build up the interest, drive traffic to the ICO website, get the thousands of followers across social media and comms sites like Telegram. 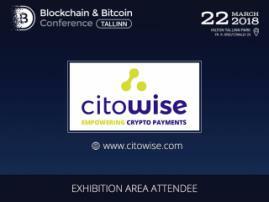 – Tell us, please, a little bit more about the issues to be covered in your report at Blockchain & Bitcoin Conference Tallinn? – Creating and managing a community is one of the most tiresome jobs in the market. I will present some of the best practices and provide timesaving tips to ease the work of Community Managers during the ICO. We’ll go through different approaches for communicating and building interest with followers. 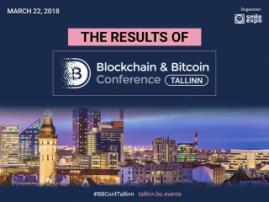 Register to Blockchain & Bitcoin Conference Tallinn and learn more about ICO projects marketing from Aleks Bozhinov’s presentation.